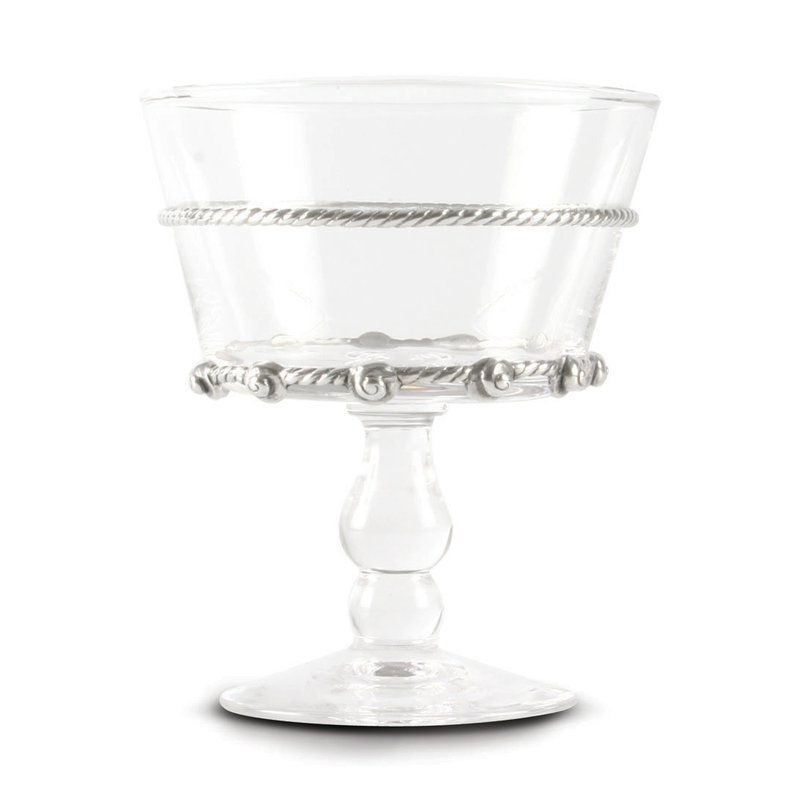 The Coquille Dessert Cup brings seaside style to your dining room with a traditional, slightly sloped shaped accented by two gadroon bands and tiny sea snail shells. This coastal dinnerware ships from the manufacturer. Allow 3 to 4 weeks. Cannot express ship. For more offerings, we ask you to spend some time to look at our thorough range of coastal dinnerware at Bella Coastal Decor now.